Aroma:This deep mahogany colored rum presents a sweet aroma balanced heavily toward cane honey, with earthy sugar cane undertones, along with a hint of vanilla, luscious toasted oak, caramel and dried fruits. 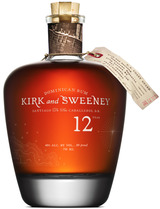 Taste: Initial taste reveals a nectar-sweet quality, leading to a weightier body that indicates sub stantially aged rum that's serious in character but not overbearing. 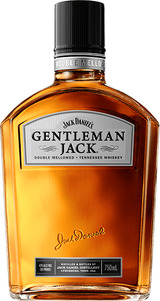 Light notes of vanilla and wood hit the palate transforming into an incredibly smooth offering. Finish: Bold, ripe, and sweet vanilla flavors evolve near the end, providing a smooth, long and luxurious finish. Named for a wooden schooner famed for smuggling rum during Prohibition, this amber rum has a relatively light feel for a spirit aged a full 12 years. Flavors and aromas run to hazelnut, cookie dough, brown sugar and vanilla, pepped up with dark chocolate and espresso. Presented in a rotund "onion" bottle modeled after an 18th-century design.